You are here: Home / couples sleeping apart / Liking the new “I Do”…..
What is a traditional relationship? It’s a question I have immersed myself in since my husband and I took those first steps (in different directions) to separate rooms in 2005. As a result, for the last 11 years I’ve been challenging people to prioritise health over the ‘tradition’ of sharing a bed each night with their partner. What is a traditional marriage? Not only is this a great question, Vicki and Susan have some equally great answers. I read the book swiftly as I was gripped by their views on what a traditional marriage actually is – or indeed, isn’t. All definitions capture the essence of a tradition – that is – a practice that is repeated because it’s been done like that in the past. I get it. We all need sign posts in our lives to help us work out ‘who’s who in the zoo’ and what we need to do as individuals so the other zoo inhabitants like us and want to hang out with us, rather than eat us. The thing is though, that before you know it, traditions morph into traditional behaviour and behaviour patterns, and sometimes without thinking, we’re locked into patterns of doing that we may not think we can challenge, or even need to. Choice and behaviours become ‘traditional’ because we are ‘following or ​belonging to the ​customs or ​ways of ​behaving that have ​continued in a ​group of ​people or ​society for a ​long ​time without ​changing’. So once we accept that we are shaped by what those before and around us do, the reality is that unless we take ourselves off to another country (to live with different traditions), or head to a hut in the middle of the woods (to create our own traditions), to a degree we are all victims of the traditions of our time and generation. There is good news though. Traditions can change. Some examples I hear you say? Here’s two that spring to mind. Over the last few decades western society has seen significant changes in the roles of men and women in families. Men staying at home and raising children while women work and provide the family’s financial support wouldn’t shock too many people now – but 20-30 years ago it would have been uncommon and somewhat shocking. In Australia, it’s only been in the last 10 years that some states have allowed shops to open on Sundays – the day traditionally being for ‘family time’ and heading off the church. 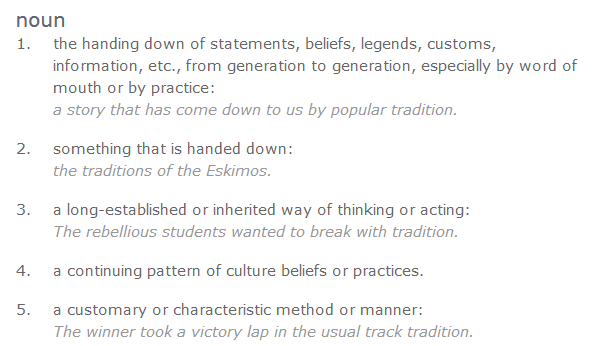 Hopefully these examples stir in your own mind, practices you know may have changed in your own life, or in the lives of the many folk around you. We aren’t all locked in to doing things the same ways forever. But it does take someone, and in most cases, many people to make the changes that change traditions. The New I Do starts with an interesting and succinct social and historical discussion about marriage. Did you know that people who married for love used to be considered a bit simple? Marriage used to be a strategic pairing of two people who could bring prosperity through land holdings and blood lines – so Jane Austin! Who cared if you ‘loved’ each other – if that happened, it was an unexpected and pleasant bonus. 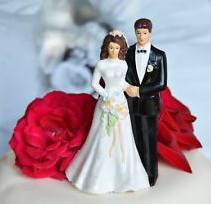 Fast forward to contemporary culture where for many, the reason for marriage has become lost in a rush to have a perfect wedding, rather than a healthy and functioning partnership. Or couples are marrying because they think they should, or they are responding to social or familial pressure to ‘couple up’ because certain judgemental and reproductive clocks are a tickin’. Larson and Gadoua highlight the increasing divorce rates as a warning sign to possibly make us stop and look at why any of us might make the decision to leap into marriage. The core of the book is the suggestion that there are different TYPES of marriages – rather than just a traditional marriage. Because really……. what does ‘traditional’ mean in the context of marriage? What our learned ladies offer (among other chapters) is a discussion of seven types of marriage that those who are heading down the path of committing to another person might want to think about. And while these marriage types are explored, there is the overriding message in the book that when it comes down to it – every couple has to define THEIR marriage in THEIR own way, and live that marriage the way THEY want to, irrespective of every prying eye and ready opinion out there. I have already recommended the book to a couple of single friends who are struggling to settle down and find a relationship that fits them, and to a couple of friends are simply struggling in their marriage. Don’t get me wrong, I’m a fan of traditions. But I feel that as an educated person, living in this particular time in history, I’m allowed to discern the bits of the past that serve me and the bits that don’t. I know how genuinely fortunate I am that I have the free will and resources to make decisions about what suits my life and what doesn’t. 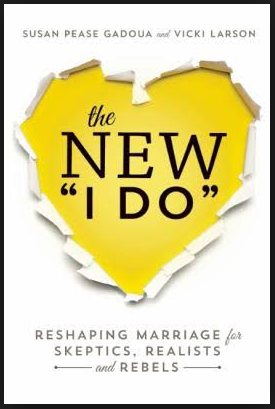 The New I Do has aided my enlightenment along the path to relationship happiness. The book has increased my vocabulary and insight into the complex world of marriage.